After the events that followed the deaths of Michael Brown and Eric Garner, the #BlackLivesMatter hashtag took off and evolved into an inspiring national movement calling for racial justice. Now it's been repurposed to support an entirely different cause. After two police officers were shot during a protest in Ferguson early Thursday morning, the #BlueLivesMatter hashtag has been trending on Twitter. While the hashtag, which was originally created to support law enforcement officers, could be used to send a powerful reminder that all lives matter, some are unfortunately not using it that way. Although #BlueLivesMatter is actually not a new hashtag, its usage spiked after the shooting incident that left two officers in serious conditions. It was first used in November when radio show host Barry Gadbois tweeted: "Cops have a right to defend themselves and an obligation to protect you. #BlueLivesMatter #Ferguson." Since then, it's been tweeted more than 120,000 times — a figure that is miniscule compared to the number of tweets posted in protest of police brutality — but after Thursday's shooting, the hashtag is seeing an uptick. Throngs of people have taken to Twitter to use #BlueLivesMatter, but the hashtag doesn't seem to be reflecting a unified voice. While some are using it with integrity to pay tribute to the injured officers and officers everywhere, others are using it to criticize President Obama, Attorney General Eric Holder, and Al Sharpton, and others still are using it to undermine #BlackLivesMatter, perverting the original hashtag that lent its name. 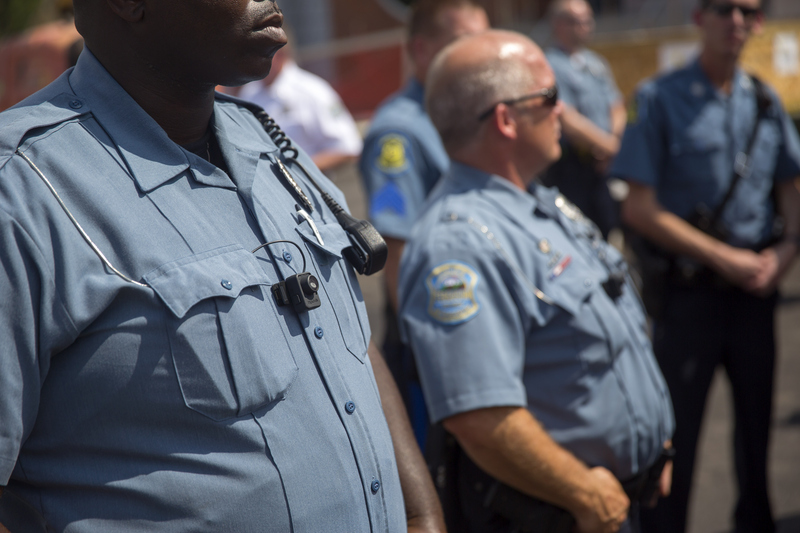 Here's a look at all the disparate usages of #BlueLivesMatter.